The phrase “you’ve gotta be in it to win” is an often overused cliché that’s generally spouted by some sort of gameshow host or salesman. Equally, “once in a lifetime” can be a bit of an exaggeration. In the case of Eastern Suburbs’ very own Will Richardson, both sayings could not be more apt. Because this young Kiwi is getting the chance to do what every football fan across the globe dreams of doing, walking out on the biggest stage in international football, the World Cup Final. 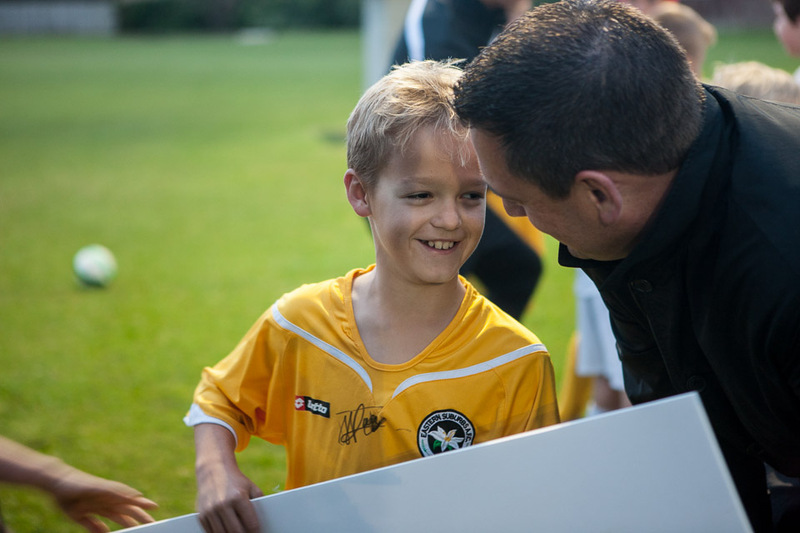 Will, who plays for the ESAFC 10th grade Yellow Team, was one of over 1000 youngsters aged between 6-10 who entered a McDonalds Skills Zone Day on the Auckland Domain. His mum Victoria explained how it all came about. “We were sent an email through from the club about the McDonalds Day and we took both Will and his sister down to have a go. We didn’t hear anything else about it until two weeks later when a PR guy from McDonalds called”. It was then that Victoria was asked several questions relating to Will’s suitability, age and, tellingly, passport. Finally as the conversation neared a close it was revealed that Will had in fact won, and his mum was given the unenviable task of having to keep it a secret. Thus following a full three days of blissful unawareness the surprise was finally sprung on Will by All Whites Tim Payne and Matt Ridenton amidst something a media frenzy. “Will was absolutely speechless”, Victoria revealed, “it really is once in a lifetime”. Victoria is not wrong, of course. Not only will Will and his mum get the chance to soak up the atmosphere and drama of this most prestigious of international tournaments, they get to do so in one of the World’s great cities. As part of the prize for winning, the Richardson’s will be housed in the shadow of Sugarloaf Mountain and Christ the Redeemer, on Ipanema Beach. Will also gets the opportunity to play against the other 21 lucky winners, tour some of Rio and sneak an early look at the spiritual home of football that plays host to the final, the Maracana. “Messi – I’d like Argentina to win”. Time will tell who the eventual tournament winner will be, but for Will Richardson, he’s already a victor in the eyes of every football fan across the country. For following the rather ignominious defeat to Mexico in the Playoffs it seemed inevitable that there would be no New Zealand representative at this year’s World Cup.